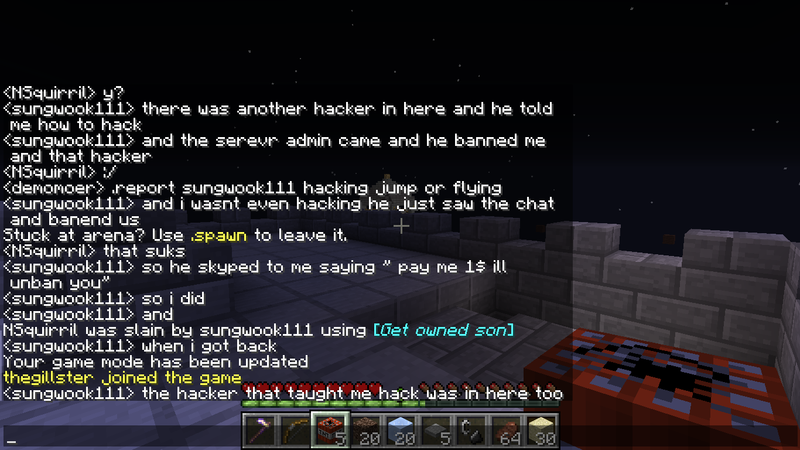 This is a place for all of us (Tabither) to submit any evidence we have for hackers on the PvP server. Thank you. 7.you just checked to see if there was a number 5. Sorry Tabither I was poking fun. Basically I would like it if everyone put their information and proof of hackers in this thread to help keep the general posts less cluttered. cant a adim post it as a sticky post? 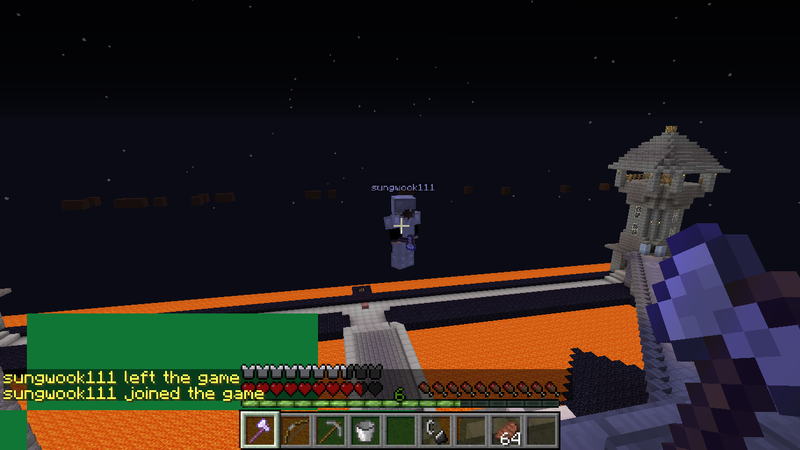 Im sorry i spawn abused and i just want to be unbanned from this amazing server. plz, Can you show mercy/forgive/unban me? I'll see if I can get them to later, the three of them are kinda busy. Banned, and what he said is false in case anyone believed him. Thank you.